Lindsey’s first car when she got her drivers license was an old silver Plymouth Voyager (with fancy wood paneling). Ever since I’ve known her she’s sworn to never get behind the wheel of a minivan again. Ha! Today Lindsey and I traded in our cute, yellow, two-door VW Beetle for a family-friendly Honda Odyssey. While it was a little sad saying goodbye to the car that symbolized our free-spirited days as newlyweds, we’re excited about the adventures to come in our family car. Commodus continues to be extra cuddly around Lindsey. Probably in some instinctual way, he understands something is up. Who knows, perhaps he’s thinking about what life will be like with a little brother. Yesterday Lindsey had her third and final baby shower. It was held at Bob’s Burgers & Brew in Burlington. The shower was organized by one of Lindsey’s close friends, Jennifer. The girls had a great time talking babies and playing games. Meanwhile the boys retreated into the bar. Oliver, Jennifer’s husband and father of 10-month-old Bjorn, shared some of his fatherly wisdom with Jim (another expecting daddy) and me. 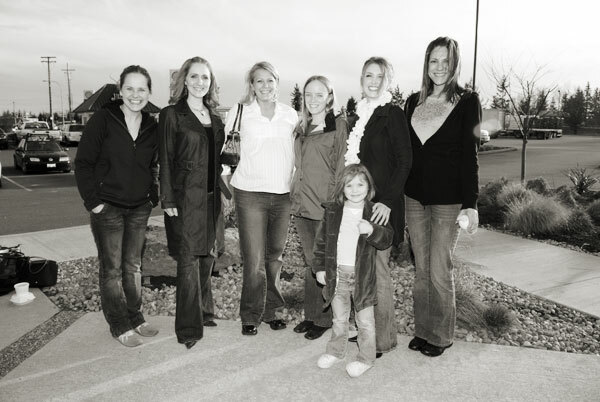 The ladies: Jennifer, Laura, Lindsey, Emily, Caroline (with Ashlyn), Amina. 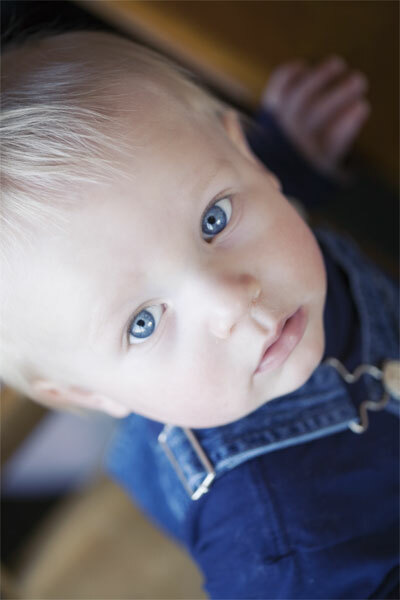 Bjorn, with his incredible blue eyes. There are more pictures from the shower over here. The pregnancy continues to go well, though Lindsey is starting to feel like it’s time to get this show on the road. I think her exact words were “I want this monster out of me!” So little monster, we’re hereby giving you one month’s notice to vacate the premises. Looking forward to meeting you soon.